wheen fills potholes in roads and sidewalks with soil and living plants, decorating the spaces with miniature props to create tiny worlds. 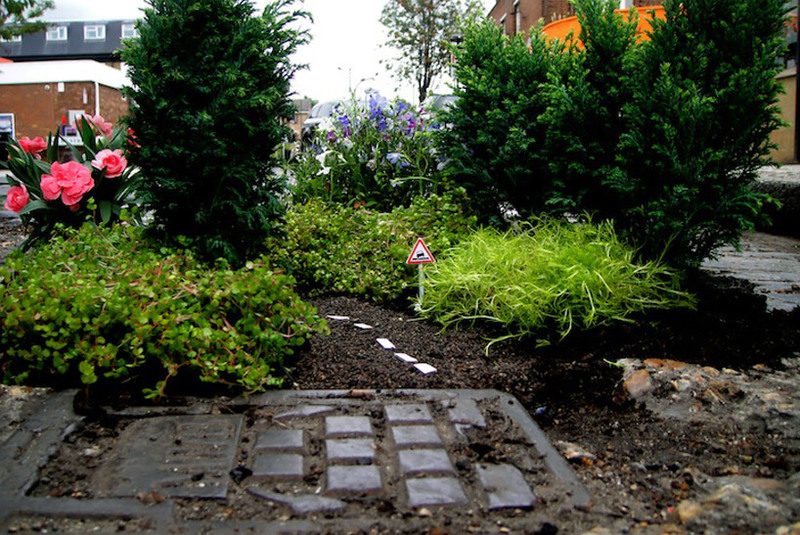 the work thus eliminates the danger of potholes as it adds an enchanting bit of art and greenery into the days of passersby, simultaneously drawing attention to the problem. I lurv the little red chair & book & daffodils/narcissi. The girl walking past all th plants, I’ve done someting like that outside my back door which is full of concrete.. have stuffed cracks in the concret with lemon balm, mint & thyme & othe plants have seeded in there like marsh plants, buttercups & daisies.. hoping theyll eventually crack the concrete open.